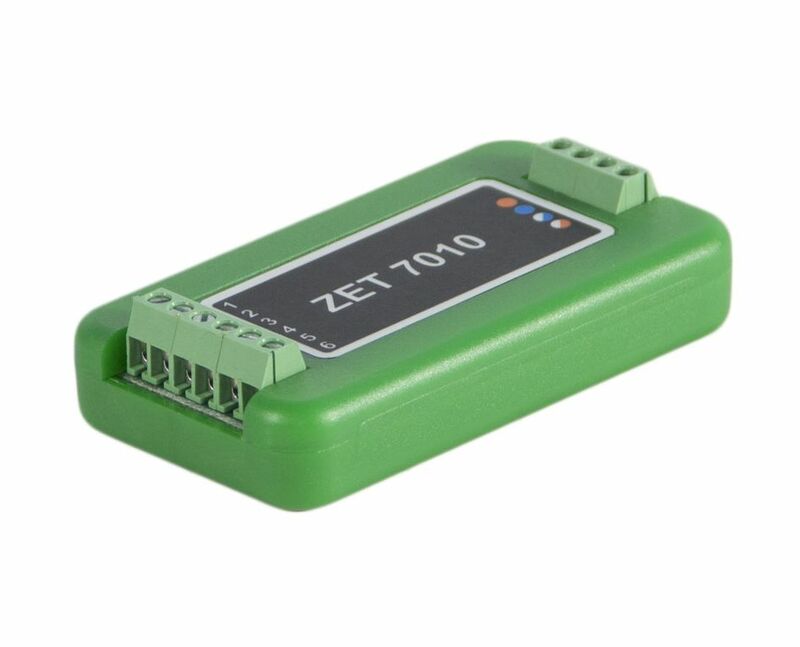 Digital strain gauge sensors ZET 7010 in industrial version having explosion-proof mark are supplied upon special request and for additional cost. Parity control is not supported in the mode EVEN. Modbus ASCII – not supported. Explosion-proof*: industrial casing + explosion protection 0ExiaIICT6 X. *The price is calculated on individual basis. 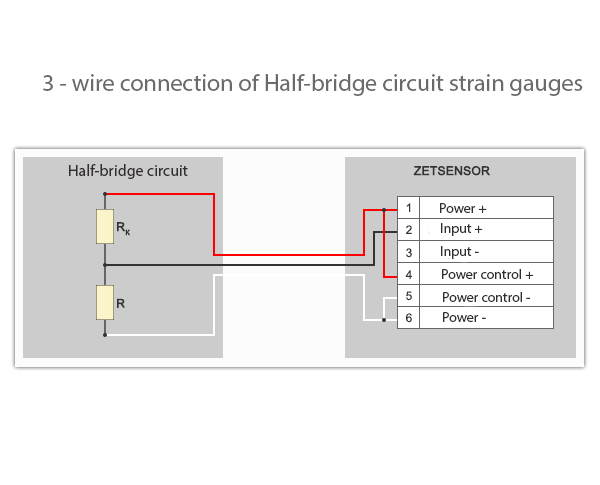 Digital strain gauge ZET 7010 is designed for measuring relative deformation using primary transducers based on strain sensors. 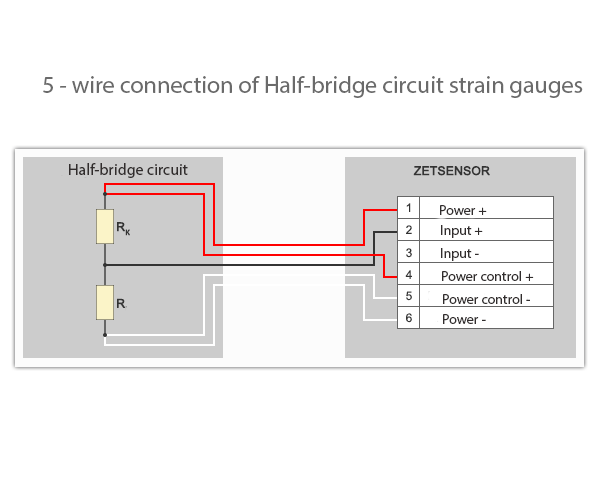 This can be strain-gauge transducers, torque sensors or separate strain-gauge transducers connected via bridge or half-bridge circuit. 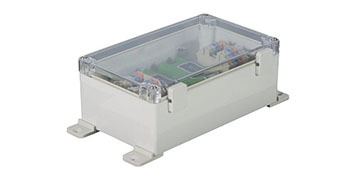 Sensor power supply is provided by DC, thus ZET 7010 can be used for static measurings. 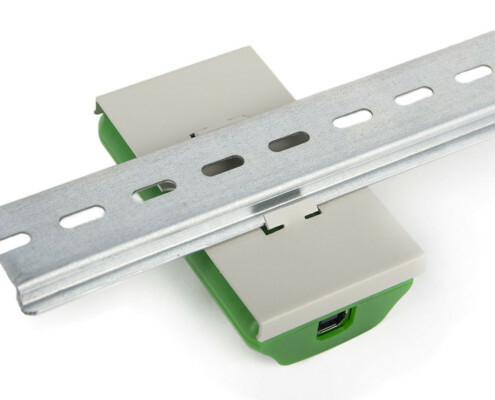 Strain gauge sensors are mounted on the measured object and the interface modules which perform data transfer are placed into leak-proof casing. 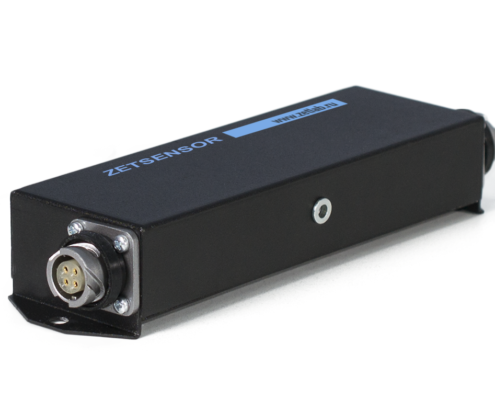 ZETSENSOR modules have several advantages – they are easy to mount and de-install, they have power indication and signal transfer function which make it easy to perform on-site system diagnostics. 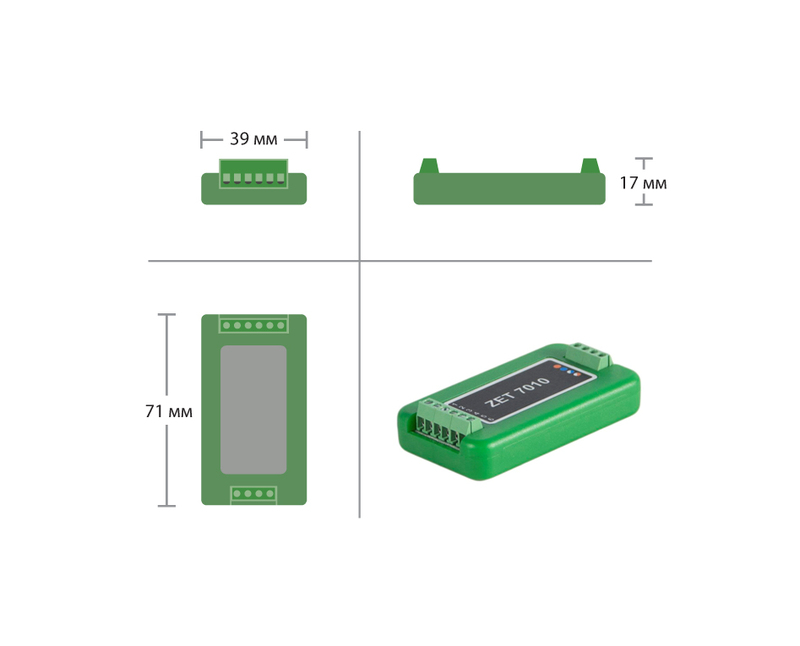 For the purpose of dynamic measurements performance digital sensor ZET 7111 is available (it powers the bridge circuit by AC). Digital strain gauge sensor consists of primary transducer and measuring sensor ZET 7010. As a primary transducer one can use tensile-compression sensor of bulk-, console-, or edge-type, S-shaped strain gauge or a strain gauge sensor assembled via bridge or half-bridge circuit. 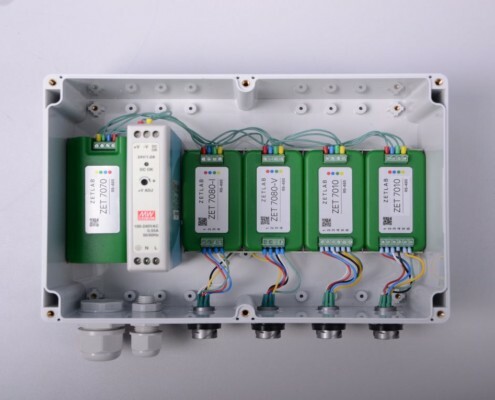 Primary transducer is is mounted on the measured object and is connected to the measuring module, which converts the sensor’s signal into power, strain or pressure readings. 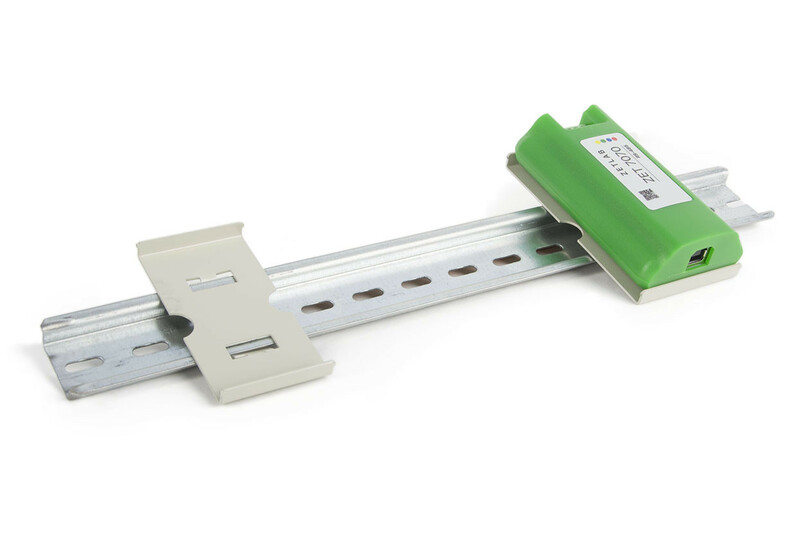 Each strain gauge sensor can be configured individually based on its function. Characteristics of primary transducer and measured object profile are stored in ZET 7010 memory. Thus, usage of digital strain gauge sensors allows to start measurings immediately and to obtain results in corresponding values. 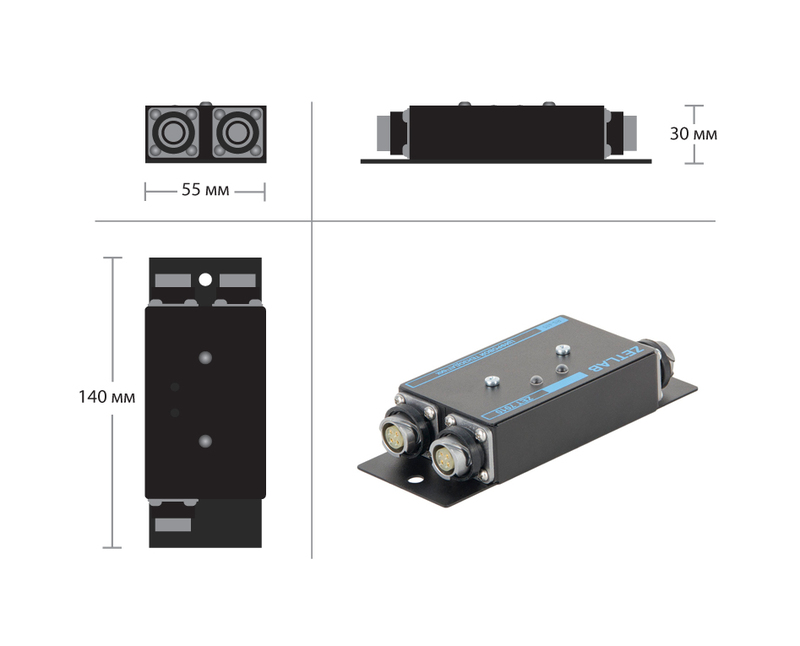 This is the main distinction of digital sensors from usual (analog) – there is no need to perform data processing, set the measuring channels, calibrate software, etc. 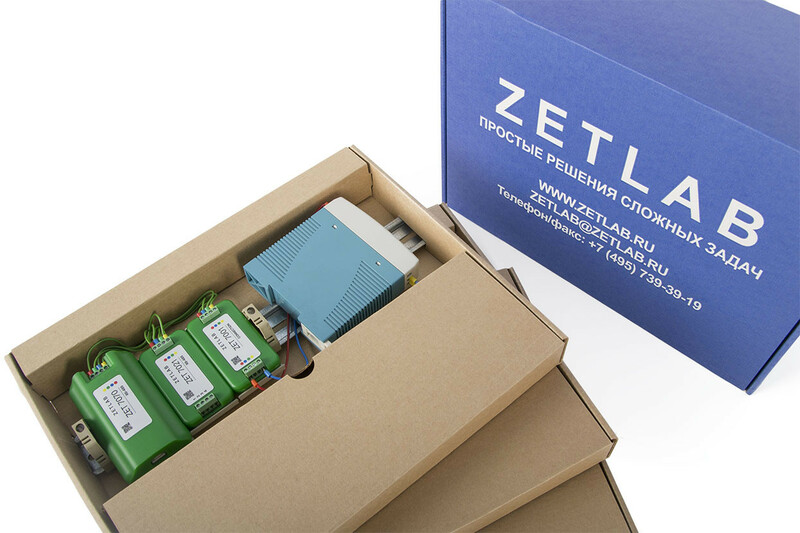 Power supply of primary transducer is also performed via ZET 7010 module. 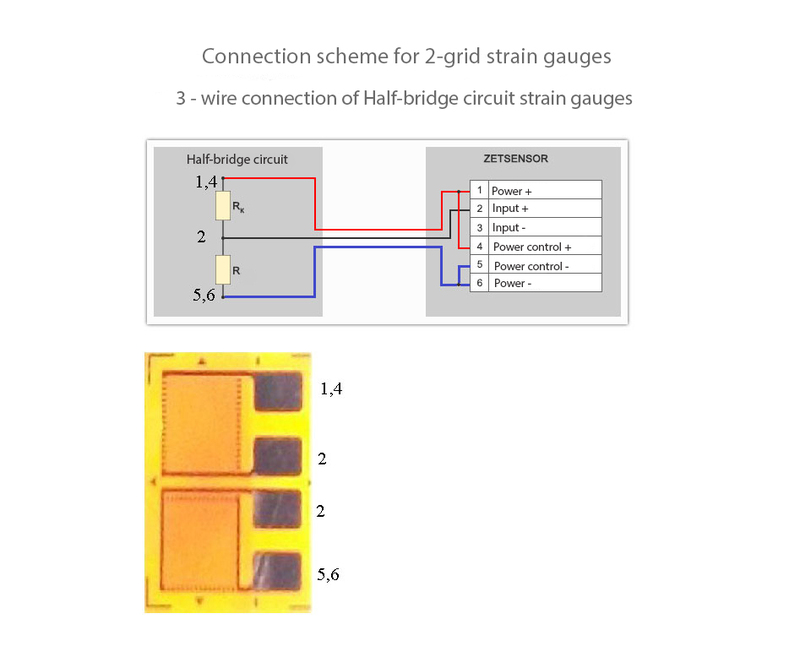 Tests for ambient temperature influence have revealed stable performance of digital strain gauge sensors and readings precision within the acceptable range. Temperature shift – about 10°C in 24 hours. 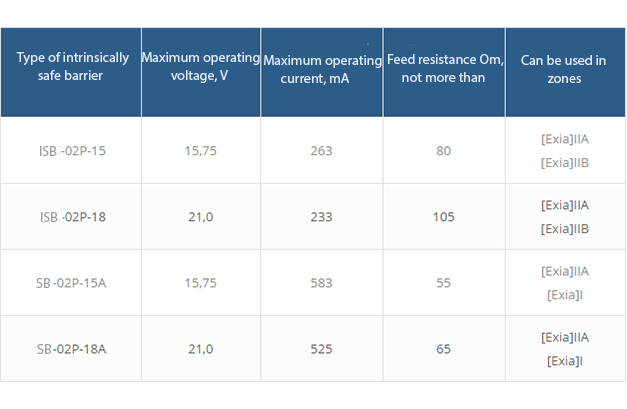 Module’s readings change – about 0.02 mV/V, which makes 0,13% from its maximum range. 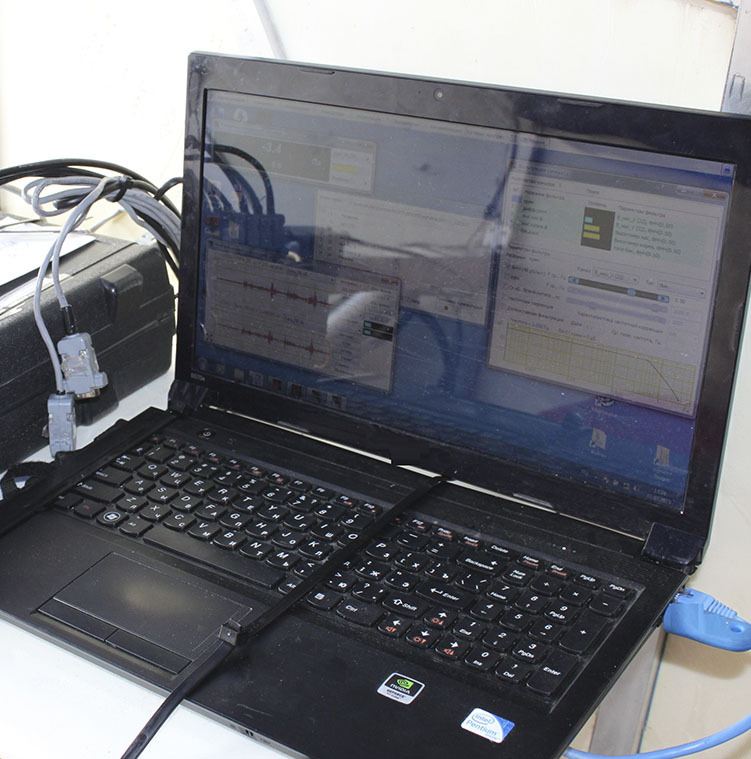 Shipbuilding Company Aerohod Ltd. uses digital strain gauge ZET 7010 and ZETLAB Software within a recording equipment complex which enables air-cushion vessels movement parameters control. 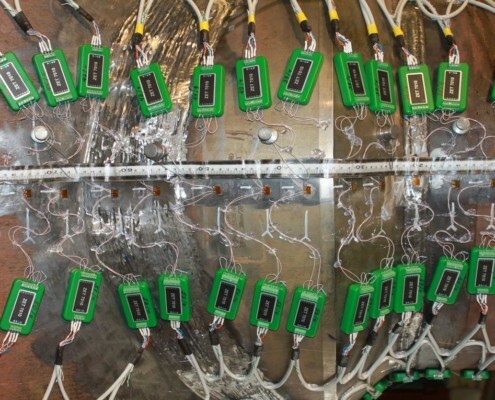 When using digital strain gauge sensors in explosion-hazard areas one should observe applicable national requirements. It is allowed to place digital strain gauge sensors in explosion-hazard areas only in the case if this sensor is manufactured in industrial version (black casing). This type of sensor is made for application in explosion-hazard areas and has corresponding mark on the casing – 0ExiaIICT6 X. In order to provide connection via data channels and power supply lines, the digital strain gauge sensors should be connected to the interface converters via intrinsic-safe barriers placed in explosion-hazard areas. 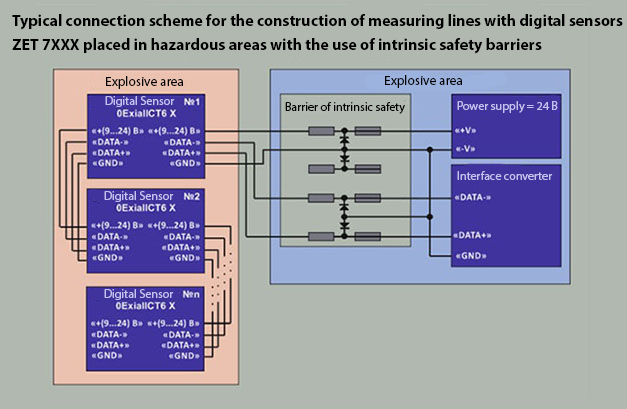 Typical connection scheme of digital strain-gauge sensors placed in the explosion-hazard areas is shown in the figure below. Recommended intrinsic-safe barriers types are shown in the corresponding chart. Standard scheme shown in the drawing depicts layout for RS-485 interface. 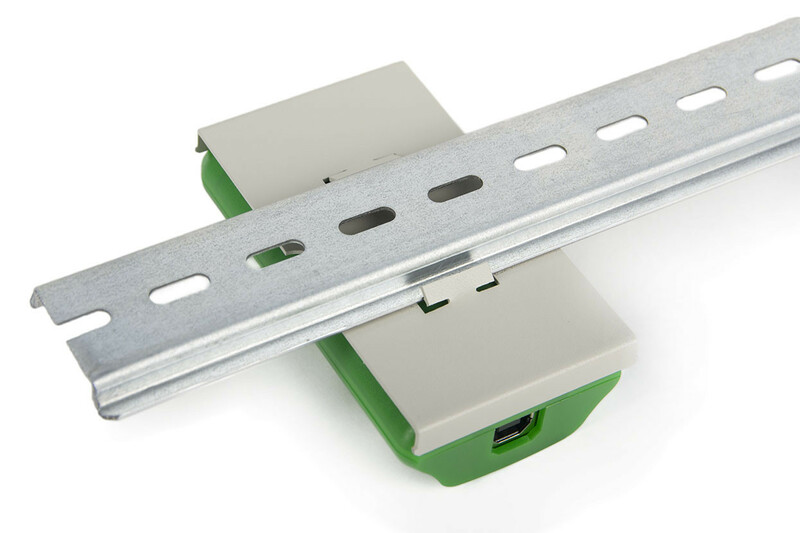 When designing connection scheme for CAN interface one should make the following changes in the connection scheme layout: «DATA-» for «H», «DATA+» for «L». 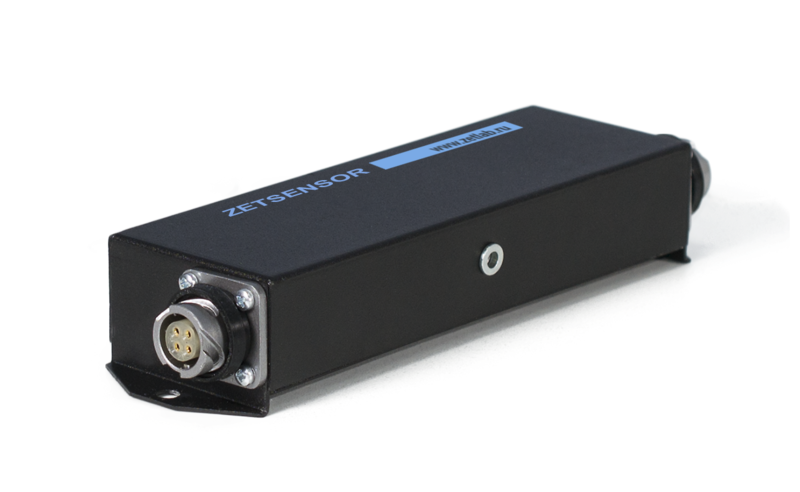 Implementation of digital sensors is especially convenient in establishing distributed measuring networks. Unlike centralized measuring networks for ordinary usage, there is no need to use so called “star” connection, which allows to decrease overall lenth of the network. Besides, since the data obtained is transmitted in digital format, the requirements for data transfer channel are less strict, thus one can use inexpensive cables. 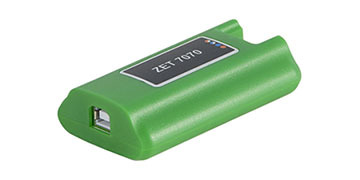 In order to connect measuring system to the system ZETLAB and ZETVIEW one should use interface converter ZET 7070 (USB ↔ RS-485) or ZET 7076 (Etherneti ↔ RS-485). 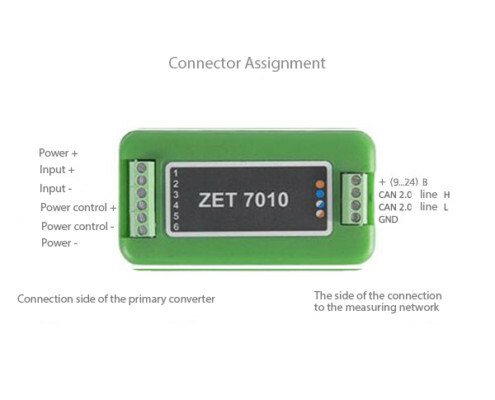 Besides, in order to connect digital sensors ZETSENSOR to the measuring network one can use interface converter ICP CON I-7561. 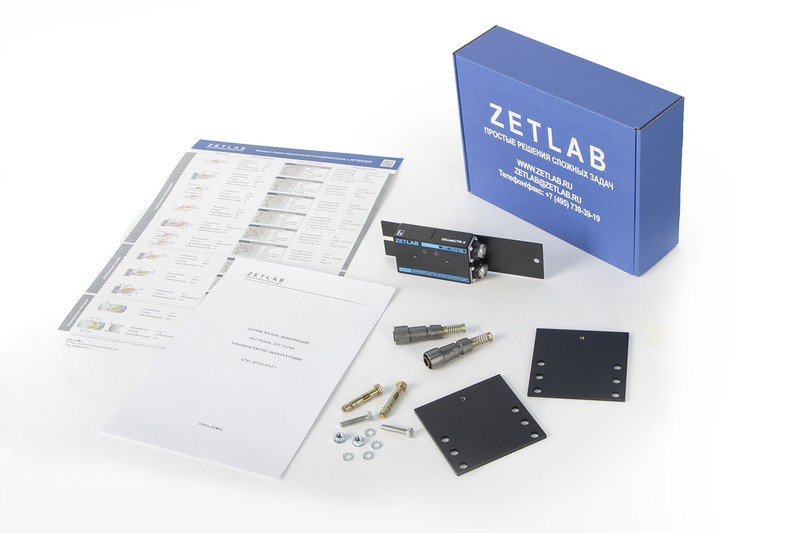 ZETLAB Software enables connection of up to 1024 sensors to one PC. 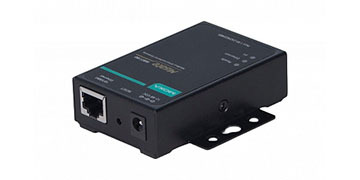 Measuring networks can be connected to any system using Modbus protocol via RS-485 interface. 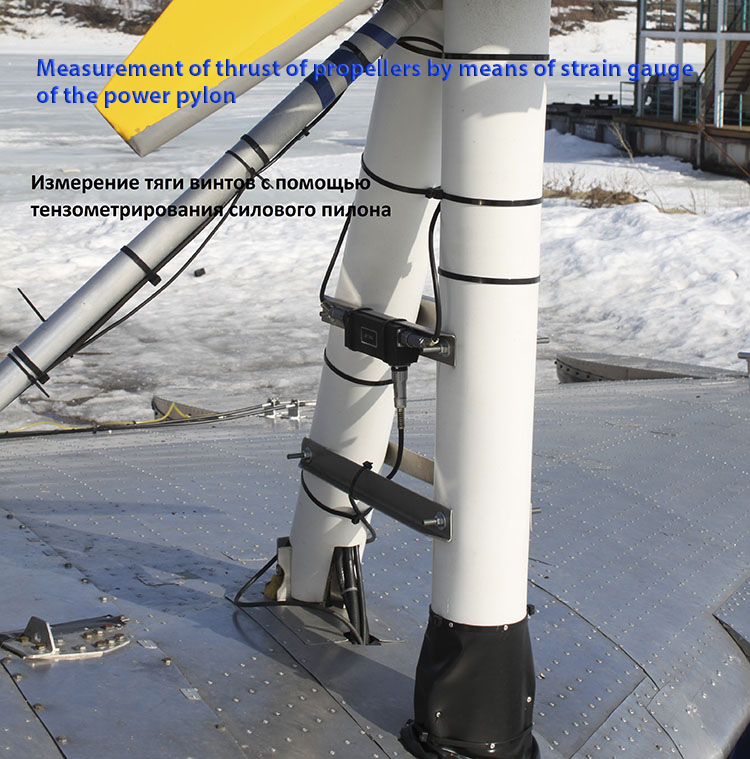 Measurement data processing is performed by means of the Software Multi-channel strain gauge sensor. Depending on the software settings the measurement results can be represented as power, weight, movement, torque and other parameters’ value. 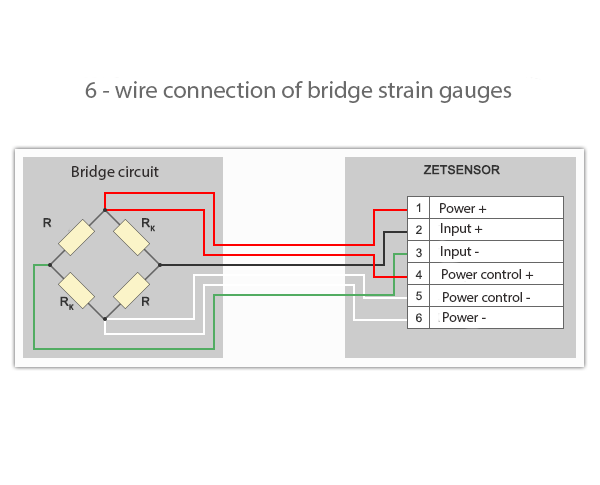 Multi-channel strain gauge sensor Software enables thermal compensation channel function for the purpose of measured data representation without temperature influence consequences. 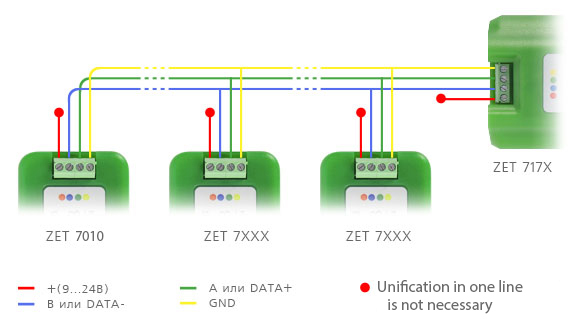 During manufacturing process all necessary setting are saved in the integrated memory of ZET 7010. 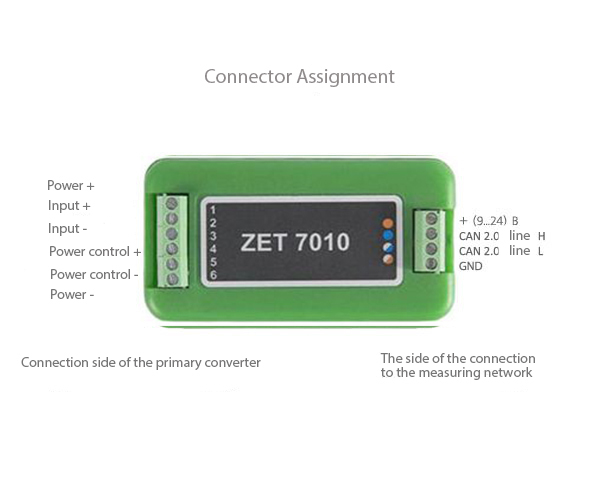 If it is necessary for you to introduce changes into digital sensor settings (for instance, when you replace the primary transducer), this can be done by connecting the device to the PC via interface converter ZET 7070 and starting the Software “Device manager”. In this tab you can change measuring channel settings. Calibration curve Parameter “Transmission coefficient” should be set in the case if the linear characteristics of the primary transducer, which is used together with the digital sensor, are known. Parameter “Calibration curve” should be set in the case if the linear characteristics of the primary transducer are not known, but it is possible to perform point calibration for the required measurement range. Precision, % Yes – This parameter enables setting the measurement precision percentage. etc. 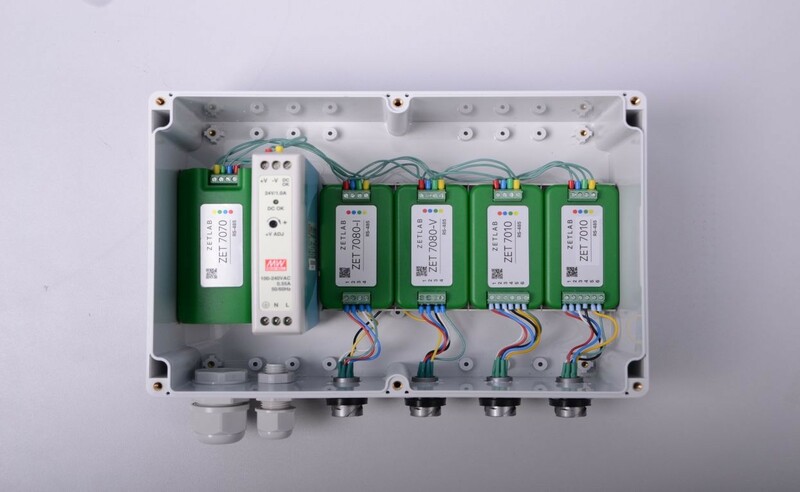 The specified measurement values are necessary for the identification of physical values and are used neither by the sensor nor by any of the transducers. However, corresponding physical values parameters should be used for Sp correct calculation. 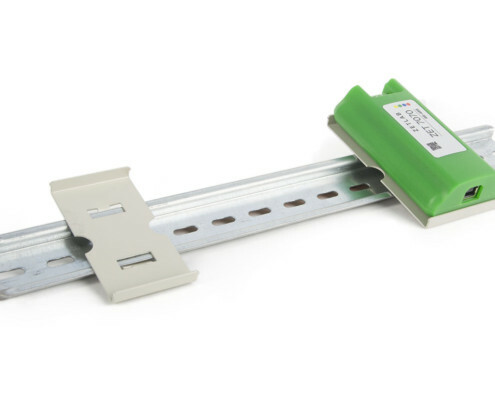 “Sensor” Tab specifies the parameters of the connected strain gauge sensor or force sensing device. Is it possible to change the parameter? 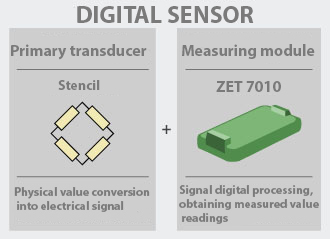 On In the case if the primary transducer (sensor) is connected to the digital strain gauge sensors ZET7x10 or ZET7111 choose the «off» option. 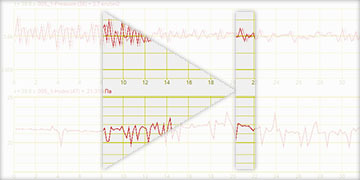 Measuring limit (in corresponding values) Yes – The parameter determines the maximum sensor measuring range. 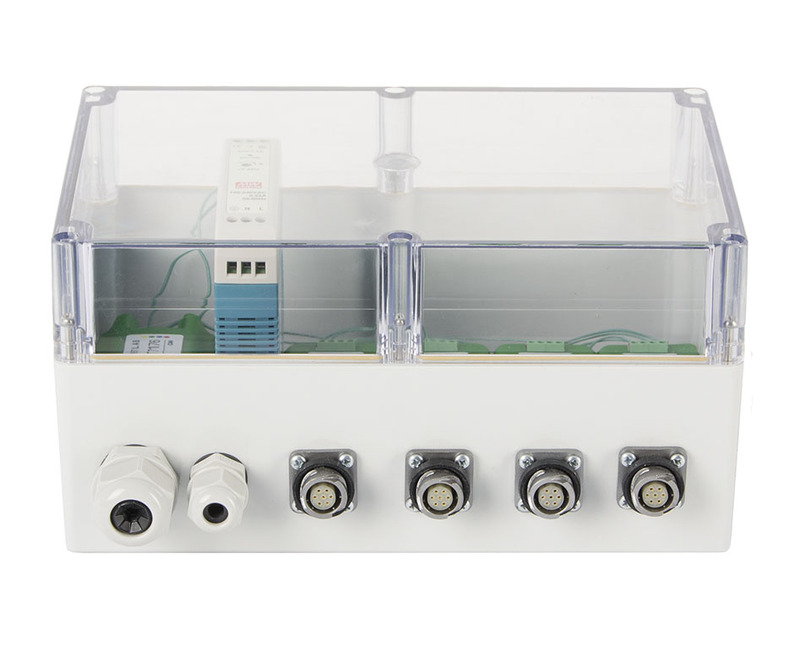 The parameter value is specified in the sensor specification. 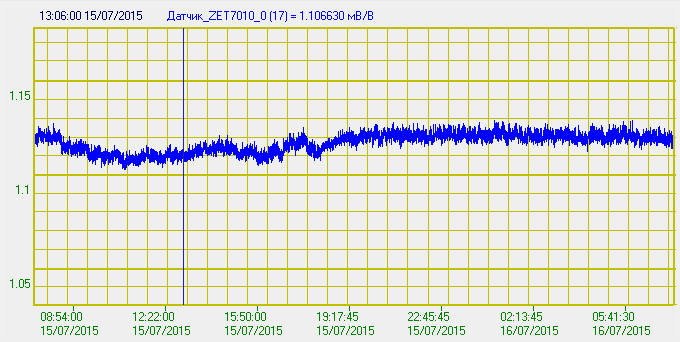 Sensitivity (Sd) Yes – The parameter determines sensitivity of the external sensor. The parameter value is specified in the sensor specification. 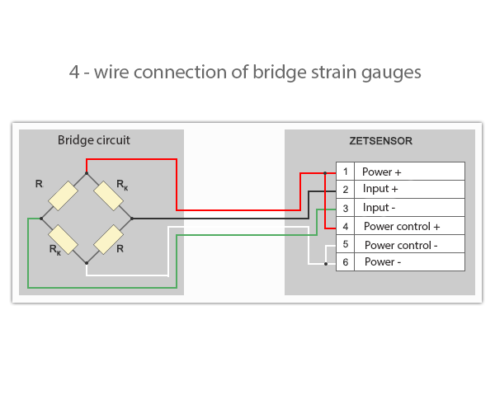 «Strain gauge sensor» Tab specifies parameters of sensing element depending on usage of bridge and half-bridge circuits. 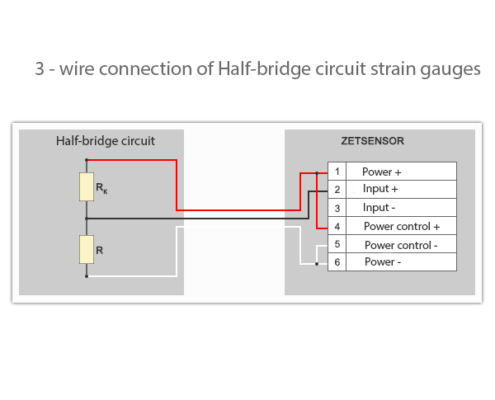 on In the case if external strain gauge sensors are connected to the sensors ZET 7×10 or ZET7111, one should choose “off” option. 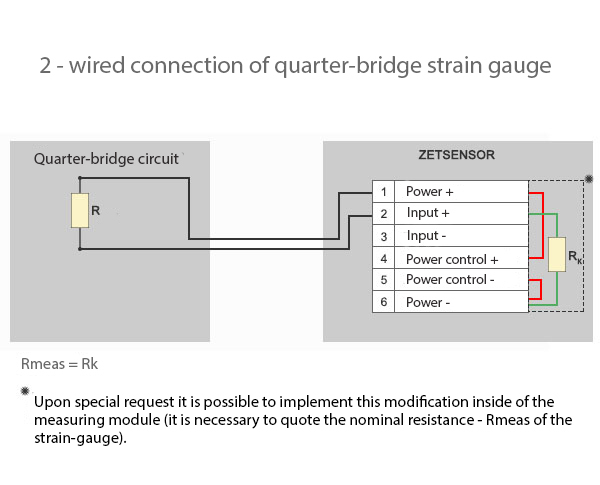 Sensitivity (Sr) Yes Depends on the connection scheme and measured physical values The parameter defines sensitivity of strain gauge sensor based on the particular connection scheme and measured physical value. The Sr value specified for this parameter is calculated by means of formulas listed in annexes B and C of the Configuration manual. “Callibration” Tab enables calibration of the digital strain gauge (consisting of the measuring module and primary transducer). The tab has 10 points for calibration of the digital sensor within the measuring range. It is necessary to perform calibration only in the case if characteristics of the digital sensor (having integrated or external primary transducer) are unknown, but there is a possibility to make an impact with a known load or displacement within the measured range. 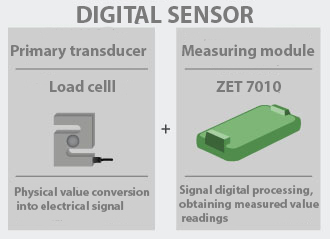 The figure above depicts example of three-points calibration of digital sensor ZET7110 DT for the operation within the range of ±0.7 mm. For the purpose of calibration the sensor has been fixed by mounting screws with M4 thread. 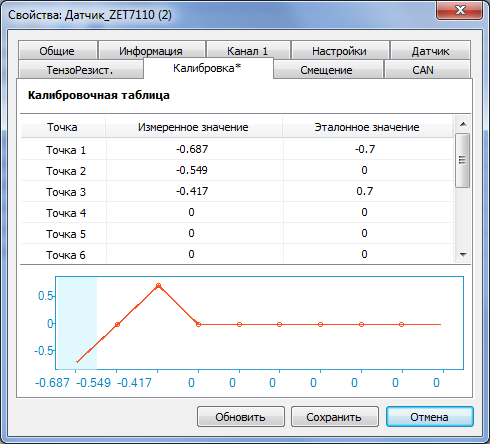 Using the program “DC Voltmeter” (located in the menu “Measurement” of the ZETLAB Software) one can determine the measured values for each of the three compression points of the digital sensor ZET7110 DT. The refence value of 0.7 mm (point number 3 of the calibration chart) corresponds to the minimum compression rate of the digital sensor’s sensing element and refers to the start of the reaction caused by compression of the digital sensor by the mounting screws. The reference value of 0 mm (point number 2 of the calibration chart) corresponds to the medium compression rate and is determined by the value adjusted through a single clockwise rotation of the mounting screw with a pitch of the thread of 0.7 mm (0.7mm*1=0.7 mm). The reference value of – 0.7 mm (point number 1 of the calibration chart) corresponds to the maximum compression rate and is determined by the value adjusted through 2 clockwise rotations of the mounting screw. Upon completion of the calibration it is necessary to click “Save” button and set the value “Calibration curve” in the parameter “Calculation method” of the “Settings” Tab. 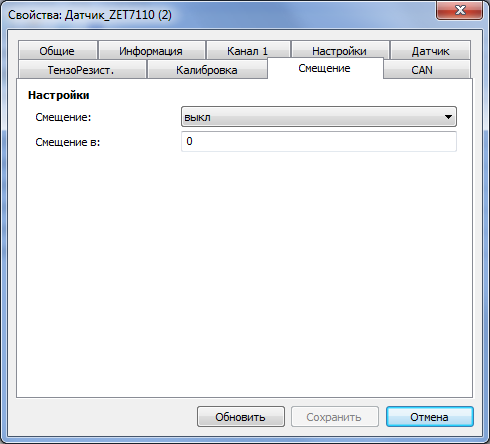 After that it is necessary to set the value “mm” in the parameter “Measurement value” and to save the changes. On “Drift” tab, transducer readings drift value is set. on Turning on/off of the pre-set drift value. Example №1: It is known that by the time of digital transducer installation, structural element was subjected to 500 MPa stress. In order to account for pre-stressed condition of the structural element, one should set “500” in the “Meas.unit drift” menu; and select “on” parameter in the “Drift status” menu, upon which click “Save” button. Digital transducer begins tracking tension alterations of the monitored structural element, accounting for pre-stressed condition – 500 MPa. 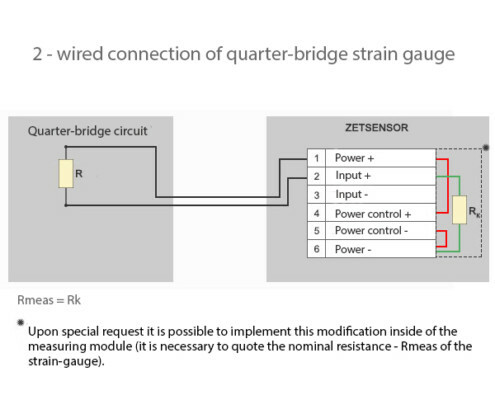 Example №2: After resistive strain gauges are installed, the monitored structural element shall be in position related to which one have to start measuring strain thereof. One should set “0” in the “Meas.unit drift” menu, and select “On” in “Drift status”menu, upon which click “Save” button. 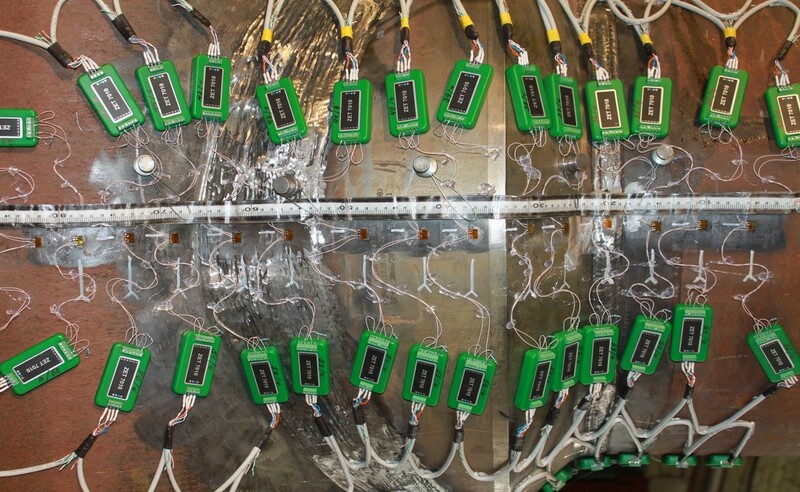 Digital transducer begins recording strain of the structural element as related to the pre-set zero value.